I often receive emails from people who tell me the difficulties they find to implement GTD. I have detected a pattern that is repeated often enough, so I decided to write this article. These are people who have worked as project managers or have used Project Management methodologies in companies for which they work. They are used to draw Gantt charts, clearly define the resources needed to run a project, tasks and subtasks, estimated times for every task, start dates and deadlines, tasks that only can be started after the completion of others or the release of some resource, etc. Somehow, this background can influence enough in the approach to the implementation of GTD. Frequently, they either try to implement a GTD system within their Project Management software, or even try to implement a detailed project management within their GTD software. This mess often leads to a hybrid system that does not meet the purpose of none of the methodologies. It does not help to increase personal productivity and eliminate stress, as GTD seeks, and nor does help to get a good result within certain levels of quality, time, cost and scope, as Project Management seeks. Project management in GTD is quite different to the formal project management. They are different concepts. 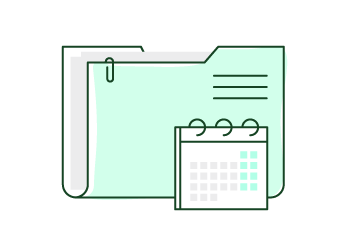 GTD is for you, individual, so you can manage both your life and your work. It includes things you are never going to put on your project management software, such as a plan for your next getaway, a reminder to buy a gift, or an idea you have to improve a service or product in the future. GTD is useful for everyone. On the other hand, Project Management is primarily professional, and you will still need it — although you are using GTD — if your profession involves a detailed control of projects. A GTD project is nothing more than any result that requires more than one action. However, for a company, a project can be something much more complex and difficult to manage, as it includes things such as contracts, scope statements, budgets, deadlines, team organization, and so on. In short, if you’re a human being, I recommend you using GTD as a method of personal organization. Moreover, if you are a human being who needs a very detailed control of some of your projects, you should use, in addition to GTD, other complementary tools to manage these projects professionally. Personally, I use FacileThings as a GTD tool to organize my life and my work and, occasionally, some Agile Project Management tools like Trello, to manage certain software development projects where I have to work with a team or I need to make and track time estimates. And you? Do you distinguish between GTD and Project Management? What software do you use for each thing? Is it the time to make the leap and pay for a GTD application?